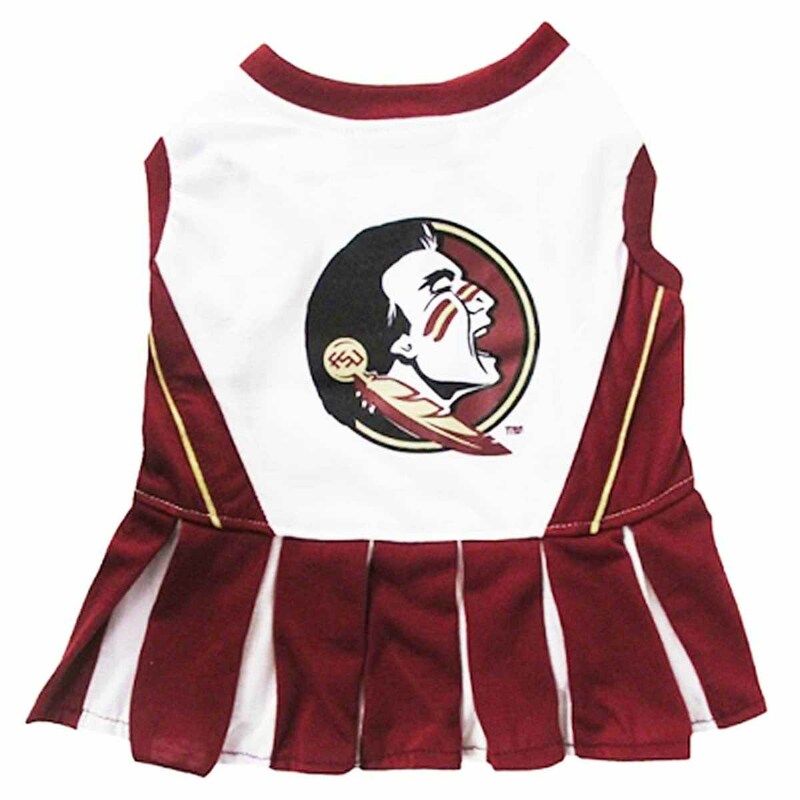 Show your team spirit with the Florida State Seminoles Cheerleader Dog Dress. The adorable on-piece dress is made of 100% cotton with a printed team logo on back and touch fastener closure on belly. Dress your pet in NCAA college game day gear and cheer on your favorite team! Perfect for watching the big game, tailgating or even Halloween! 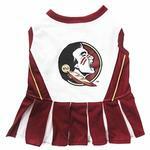 Florida State Seminoles Cheerleader Dog Dress Customer Photos - Send us your photo! Princessas love to dress up and we always need 3 of the same outfit so that they match..love that holiday and festive dresses and printed shirts for each holiday of which they have many from BaxterBoo. The dress that we received was different from this picture. It is dark red and white (not yellow), and the emblem on the back is a picture of the FSU mascot--Sammy Seminole. Actually we loved the dress we received SO much more than the one that was in the picture. It looks SO good, and it looks even "classier!" Definitely get this if you love the 'Noles and have a doggie that likes to dress up !